After being released from a Toronto psych ward, Evie decides that her life needs a drastic change. Moving 500 miles east to stay with her aunt in Montreal, however, is not turning out as expected. Though she loves the city, she can’t outrun the problems that drove her to the edge in the first place. 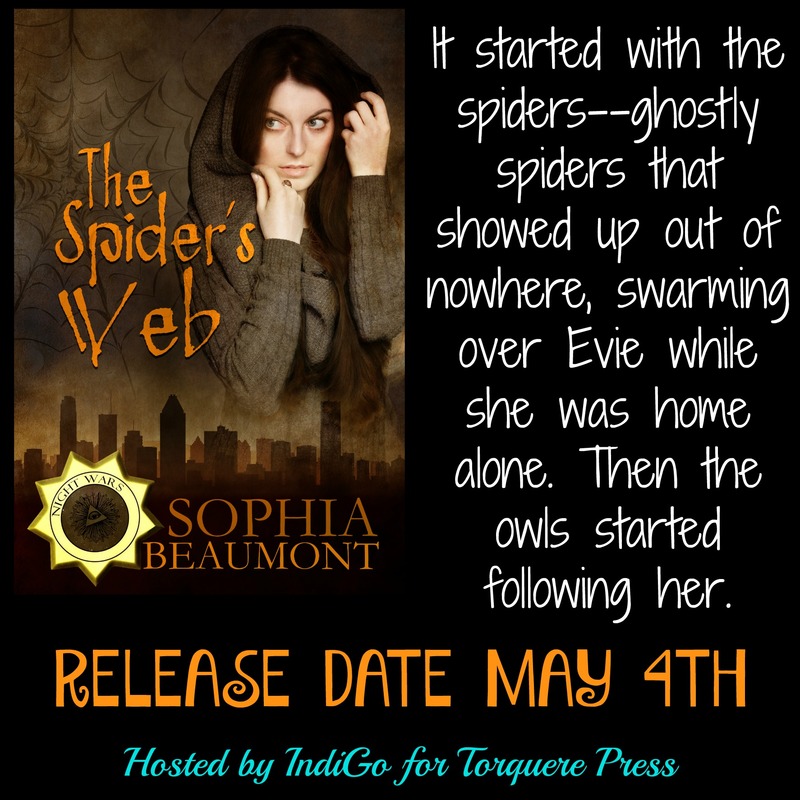 It started with the spiders–ghostly spiders that showed up out of nowhere, swarming over Evie while she was home alone. Then the owls started following her. Her search of answers dredges up past lives, secret societies, and one very angry goddess. She’s going to need help from some very powerful friends if she wants to make it to her next birthday, but when one of those friends is the goddess of the underworld, she might need more help than a guardian angel can provide. The shawl was nearby. Practically laying on the ground, I reached out a hand for it. The girls were too busy kneeling in rapture. The gathering had taken on a feeling of a tent revival, except instead of healing the sick they were planning on turning me into bar-b-que. Kelly’s eyes had taken on the same ethereal glow as those of the owls; she was beyond the cares of the mortal world. Whatever she was doing, it seemed to be having an effect. I threw the shawl. It hit Kelly full in the face. She stumbled, her words becoming incoherent as she tried to pull it off, but it clung there like a wet towel and wouldn’t let go, tangling into her short hair and catching on the sequined collar of her dress. In the split second distraction, I rolled away from the initiates and barreled through the women behind us, knocking them down by crashing my shoulder into their knees and hips. They were packed so closely that where one went down, another two would follow. I came up sprinting, diving for the elevator with them hot on my heels. I slammed my hand against the button, but the door didn’t open. There was no way that I’d be able to wait for it come up from the lobby, but there were no stairs that I could see from this side of the cafe. 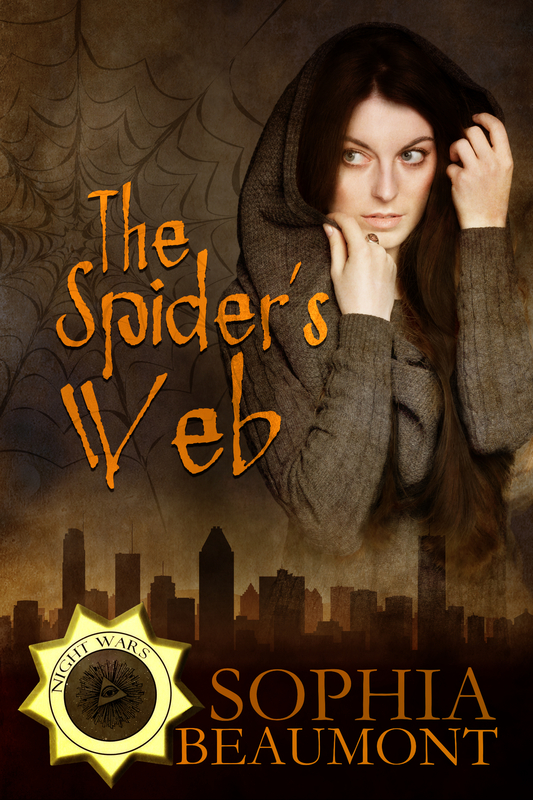 Miraculously, Kelly was still trapped in the shawl, the knitting forming a net that covered her from head to toe. I thought of my torn poncho, and the things that Kelly had said about my former incarnations powers. I don’t know how I did it, but the next thing that I knew the green and white awning had collapsed, trapping half of them in a makeshift net. I was so close to the wall that I was barely spared injury. The elevator door dinged open behind me. I dove inside. As soon as the door shut, I ripped off my heels. When it reached the first floor, I bolted out the door barefoot, ignoring the stares of the people around me, pushing past shocked tourists and horrified locals. I ran straight into traffic as I shot down the street, narrowly missing being run over by a bus. I was certain that the owls were overhead, tracking my every move. I had to get off of the street. Places d’Armes Metro station. I was through the doors and taking the escalator two steps at a time down to the platforms. They knew where I lived. They’d found me there before, and their creepy spiders–their legion–had been in the house. The train pulled up as I careened onto the platform. I skidded to a halt, catching myself on one of the poles inside. I collapsed into one of the hard plastic orange seats. I had the car to myself. I covered my face, trying to catch my breath and figure out what my next move would be. The air beside me cooled noticeably, drawing goosebumps on my skin. He knelt in front of me and took my hand. “What do I do?” I asked. I was tapped out. My mind had stopped working, drawing a blank. The only other person that I knew, that I trusted in the city, was Adam. I didn’t want to put him in danger, but I didn’t know what else to do. I got off at my usual stop, but walked down to his building, just two streets over. One of the lights in the upstairs windows was still lit and from the backyard I could hear what sounded like another party. I knocked on the front door. No one answered. Peering around back, I saw that I was right. Probably twenty people were gathered in what appeared to be an impromptu end-of-the-year bash. Strings of lights were hanging from the trees. Beer bottles were all over, coolers open to the night air. I hid in shadow for several moments, watching, until I saw something move out of the corner of my eye. It was only a beetle, but for a second I thought it was a spider and nearly panicked. “I tried to come here, first, but he didn’t understand me,” Micha said. “It’s okay.” I squeezed his hand. Adam came down the steps and lead me towards the back door. “Inside. Come on.” He ushered me in without so much as a word to the party goers. “Come on. Up here.” He pulled me into what I assumed was his bedroom. Closet sized, with posters from comic book movies on the walls and an old Mac desktop in the corner, and a tv propped up on milk crates housing DVDs and video game cases. He sat me down on his bed. As soon as the door was closed I started to cry. I bawled. I don’t know for how long. Adam knelt beside me and put his arms around me. I was shaking. When I could breath enough to speak coherently again, I spilled out the story of the evening and how it had all gone terribly wrong. Adam stared at me, wide-eyed in complete disbelief. I don’t think he would have taken me seriously at all if not for his power. He laid me down, stroking my hair. “Just relax. It’ll be fine. They won’t find you here,” he said. I felt my muscles relax. My mind was still worried, but it was distant. That was the last thing that I remember. Author and designer Sophia Beaumont has long dreamed of faraway places, both real and imagined. She writes from her home in Ohio and hopes to one day live somewhere with a palm tree in the front yard.